The Starrett 79A-4 “Yankee” spring-type outside caliper opens to 4” (100 mm) with sturdy construction and smooth action. It is made of flat stock, high-grade steel, for easily reproducible and accurate transfer of measurements of the external size of an object. 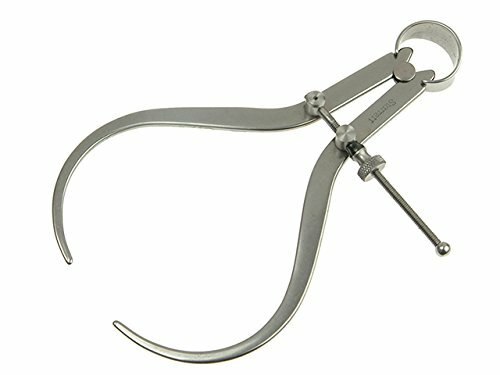 This caliper has flat, inward curving legs for outside measurements and comes with a solid nut. Bow spring is flexible yet strong, for reliability. The durable legs are made of flat stock, high-grade steel for long life. The centrally located adjustment rod ensures smooth action when opening and closing the caliper. The hardened fulcrum stud is strong to help prevent give or play in the measurement, which would reduce accuracy.